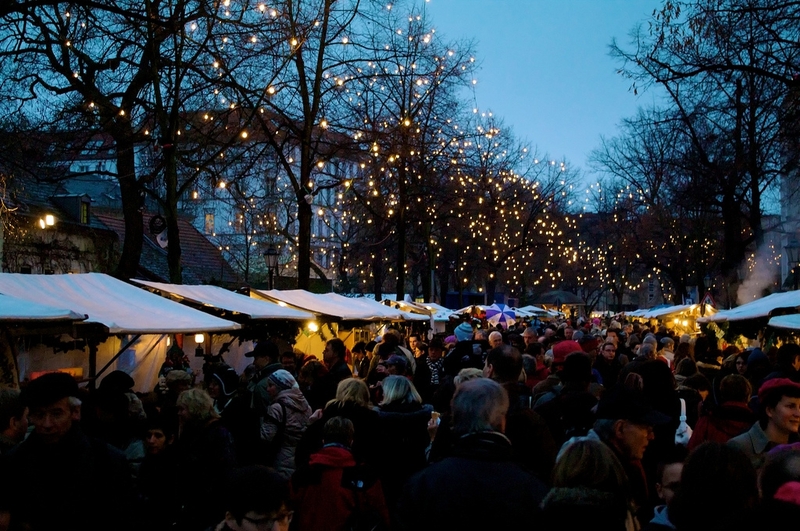 The traditional Old Rixdorf Christmas Market always takes place on the second weekend of Advent in the historic Bohemian village around Richardplatz. This is a very special Christmas market, because of the historical origins of the place and surroundings of the old Rixdorf village, dating back to 1360! A traditional feeling hosts around 150 vendors selling all sorts of tasty treats and wares, there is a stage program with music and singing and especially fun for children with pony rides and fairy tales.